If you have already purchased the product, this download will upgrade your existing program. If you have not purchased a license, this download will allow you to evaluate the fully functional version free for 30 days! After the trial expires you can purchase an Unlock Code to activate the licensed copy. Fixed error in 128 player brackets when changing a players name. Thanks M. Lear! Increased maximum locations to 400. Thanks L. Roberts and D. Schultz! Corrected skew of 32 player double elimination board introduced in last update. Thanks J. Faison for reporting this. Fixed "runtime error 438" on 16 player board. The issue came about when you needed to undo a win in the 3rd round of the one loss bracket. Thanks D. Mackey for reporting this. Version 2.0 released. 128 player brackets added, customizable tournament colors, Save As, match scoring, automatic finish placement, Vista compatibility, web friendly image creation. 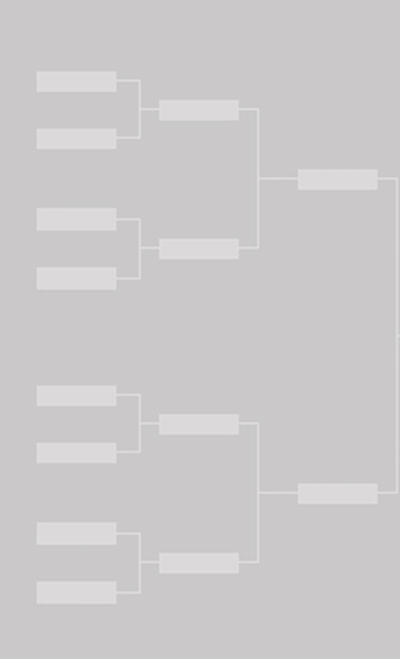 Addition of 16 player brackets. Automatic delivery of unlock code after purchase. Enhancement: Payout calculator can now transfer payouts to Brackets. Fully functional 30 day trial version of NOHO Tournament Manager 1.0 was released. NOHO Tournament Manager 1.0 released. NOHO Software was registered in 2006 and resides in Tallahassee, Florida.